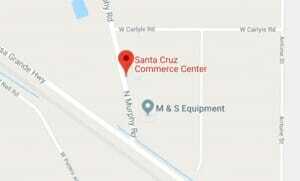 The Mesquite Building is located on the west side of the Santa Cruz Commerce Center at 12501 N. Murphy Road. Tenants enjoy low lease rates, low utility costs and tax advantages customized to your individual business. Recent improvements on the Maricopa/Casa Grande Highway have provided flood and drainage mitigation adjacent to the Commerce Center and created a left turn lane at Antone Street to provide easier access. 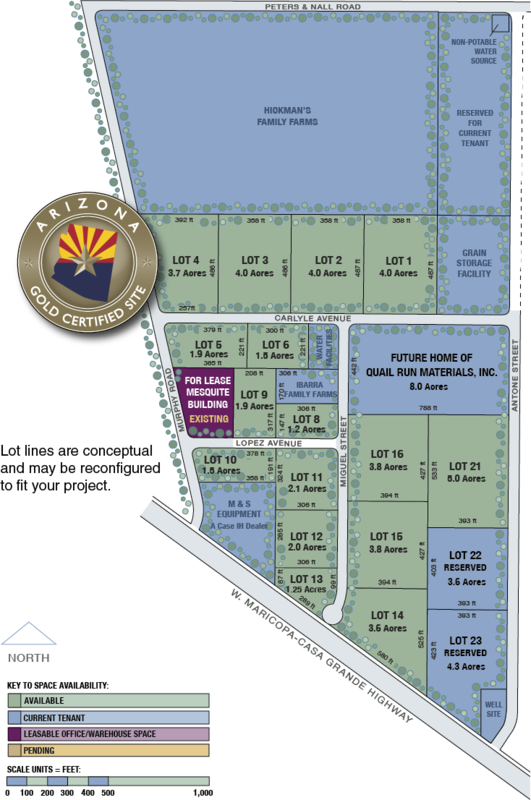 The multi-tenant Mesquite Building is a great place to start-up a new business and then expand to your own building on one the neighboring shovel-ready lots. All Documentation Requirements are listed in this downloadable PDF. The base lease rate in the Mesquite Building historically has run about 20% below current base leases in the City of Maricopa. Please see your tax advisor or Arizona Dept. of Revenue TPR-95-11 for the applicability of your particular business. Ak-Chin owns and establishes its own rates for the majority of utility services, except telecommunications and natural gas. We won’t share or sell it.